Rachel Unger of Greenville Senior High School will attend the Business Professionals of America 2019 National Leadership Conference in Anaheim, California. 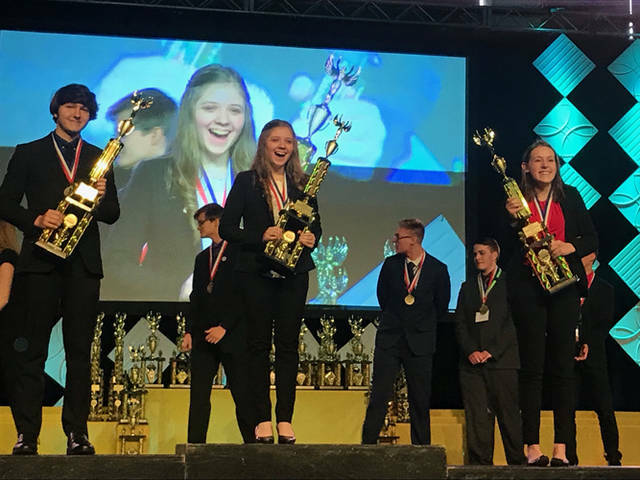 Greenville Senior High School’s Rachel Unger (right) earned a third place finish at state, qualifying her for the the Business Professionals of America 2019 National Leadership Conference. 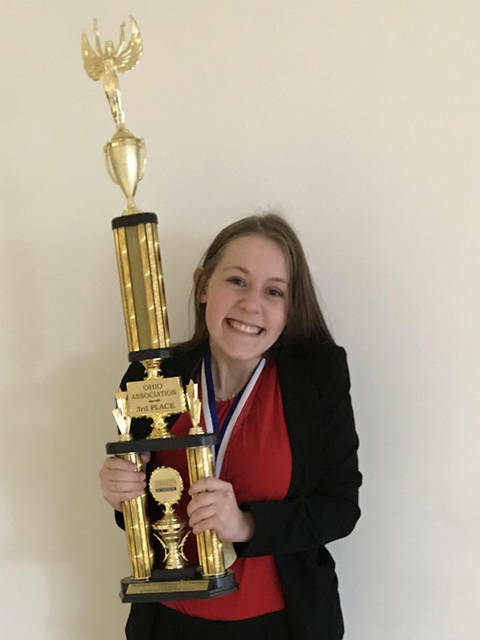 GREENVILLE – Rachel Unger of Greenville Senior High School will attend the Business Professionals of America 2019 National Leadership Conference on May 1-5 in Anaheim, California. She will join nearly 6,000 conference delegates from across the nation to compete in national level business skills competitions and attend leadership development, workshops, general sessions and national officer candidate campaigns and elections. In addition to having the opportunity to compete on the national stage and learn from leading business professionals, Unger will have the opportunity to experience Anaheim and the surrounding areas. “Each year, the National Leadership Conference offers students the opportunity to showcase their skills and compete against other students from across the country and be recognized for their dedication and hard work they have put forth through the year,” Chapter Adviser Kristi Homan, who teaches marketing education at GHS, said. Last year, as a junior, Unger competed in the interview skills event and earned a top 10 placement at the state competition. This year, she continued to develop her abilities by competing in advanced interview skills. Unger recently earned a third place finish at state, qualifying her for nationals. Contestants in this event are assessed on their proficiency in the job search process and interview situations. They also are judged on their communication skills, personality, poise and effective use of an employment portfolio. Business Professionals of America is the premier career and technical student organization for high school, college and middle school students preparing for careers in business, finance and management information systems and other related fields. The organization’s activities and programs complement classroom instruction by giving students practical experience through application of the skills learned at school. Business Professionals of America has the ability to enhance student participation in professional, civic, service and social endeavors. Members participate in these activities to accomplish goals of self-improvement, leadership development, professionalism, community service, career development, public relations, student cooperation and safety and health. Business Professionals of America is aided in this endeavor with financial support from companies, institutions and organizations such as the Association of International Certified Professional Accountants, Certiport, Northwood University, Precision Exams and Capsim. The support of the organization’s many partners facilitates scholarships, educational resources, professional development workshops and other opportunities for our students and educators and helps make BPA’s National Leadership Conference possible and successful.